You may have heard of the acronym ROTC before but perhaps you are not familiar with what it stands for nor its purpose. The acronym ROTC is short for the Reserve Officer’s Training Corps. The objective of the ROTC program is to serve as a training ground for service in branches of the U.S. military. The Navy, Air Force, and Army all have their unique ROTC programs. In addition to the ROTC program, high school students can participate in a program known at the Junior Reserve Officer’s Training Corps (or JROTC) to gain valuable experience of military training early. The origin of both the ROTC and JROTC programs can be traced back to 1916. The passage of the National Defense Act of 1916 was a watershed piece of legislation that allowed for the expansion of military forces during peace and war, the mobilization of the National Guard during states of emergency, along with the ROTC program. Specific to the ROTC program, the National Defense Act of 1916 enabled military training for colleges and high school students through this nascent training organization. According to Title 10, Section 2031 of the U.S. Code, the JROTC program is designed to provide students with three years of military instruction in addition to qualified instructors (current or prior U.S. Armed Forces officers), uniforms, and applicable academic materials. The U.S. Army has published data supporting the fact that over a quarter of a million high school students are currently enrolled in the JROTC program. Several U.S.-based high schools have both 3 & 4 year JROTC programs underwritten by various military branches. Below you will find a variety of JROTC programs and a cross-section of curricular activities you may be involved with as part of the program. Navy (NJROTC): Drill ceremonies, ship handling, navigational instruction, communication electronics, and first aid. Air Force (AFJROTC): Flight science, astronomy, navigational instruction, drill formation, and principles of flying. Army (AJROTC): Air rifle mastery, first aid, fitness challenges, and drill formation. Coast Guard (CGROTC): Drill formation, nautical science, military history, rocketry, and orienteering. Marine Corps (MCJROTC): Color guard, air rifle training, drill formation, and retreat ceremonies. College students can enroll in an ROTC program sponsored by the Air Force, Navy or Army while the CSPI (College Student Pre-Commissioning Initiative) is an equivalent track provided by the U.S. Coast Guard. The overarching goal of the ROTC and CSPI programs are to properly prepare future military officers to serve in the U.S. Armed Forces. What can students expect in return for their service in ROTC while in college? 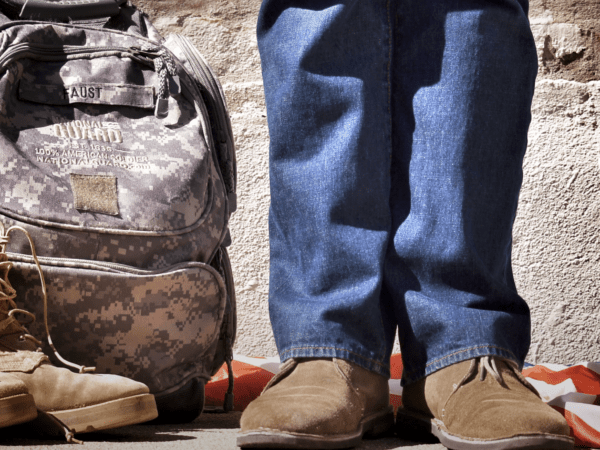 Students that qualify for the ROTC or CSPI program while in college, receive scholarships to cover the cost of their tuition, fees, books, and likely other aspects of their higher education experience. Students will also receive specialized training for military officer positions and a structured career path following their time in college. What does the U.S. Armed Forces expect in return for their scholarship investment? Students that enroll in the ROTC program are expected to fulfill active duty services. While the training specifics, length of service, and requirements differ by the specific branch of the military selected, the on-going obligation of the student is a common factor. Make sure to consult your academic advisor to ensure your participation in an ROTC program will not hinder the trajectory of your planned major. For example, the Navy and Marine Corps have approximately 150 campus-based programs with service obligations after graduation ranging from 3 to 12 years of active service depending on the scholarship and degree. The Navy and Marine Corps program often train students in maritime self-defense, summer cruise training, surface warfare, and provide flight time on naval aircraft. Careers may range from submarine to Navy Nursing Corps to Explosive Ordinance Disposal. The Army has over 1,000 campus-based programs with a service obligation after graduation ranging from 3-8 years. The training topics for an Army ROTC program range from military tactics to combat survival to leadership. Examples of career specialties could include civil affairs, military intelligence, counter intelligence, infantry, or medical corps. The Air Force has nearly 1,100 campus-based programs with a service expectation of 4-10 years depending on the scholarship accepted. Students involved in an Air Force ROTC program are often trained on international security, field training, armed conflict, and aerospace studies. Prospective careers that follow a successful completion on an Air Force ROTC program may include piloting, tactical air control, aircraft maintenance, or cyberspace operations. After successful completion of your undergraduate degree, you will be expected to commence your military obligations. Navigating your way through the ROTC program entitles you to move through entry-level military positions and start as an officer. An Army ROTC graduate and Air Force graduate can expect to begin active duty as a Second Lieutenant. However, Army ROTC graduates may have the ability to pursue a corporate career in tandem with fulfilling their service commitments with the Army Reserve. On the other hand, a Navy ROTC graduate will be Marine Corps Second Lieutenants or Navy Ensigns. Please note, your short-term obligations to any respective military branch do not necessarily preclude you from pursuing a career outside the military upon successful completion of your obligations. What are the qualities needed to be accepted into an ROTC program? Students accepted into an ROTC program often have a similar set of characteristics and values. Those typically include: a drive to succeed, strong discipline, a drive to complete a task, and unwavering dedication to their country. Three and Four-Year Scholarships: There are three different types of three and four-year scholarships available in the U.S. Air Force ROTC program: Type 1, Type 2, and Type 7. These scholarships include matching year full tuition, book stipends, and partial fees for students in an approved AFROTC college. The deadline, requirements, application details, scholarship details, and service commitment can be found on the AFROTC website. Four-Year Scholarship: A four-year scholarship includes full college tuition, book allowance, and monthly stipend for a qualifying AROTC college at a four-year degree program. Find out more about the application deadline, application requirements, and service commitments here. Three-Year Scholarship: This scholarship also includes full tuition, book allowance, and a stipend for a qualifying AROTC college; however, students have three years to complete their degree program(s). Information about service commitment, application deadline, and application requirements can be found at GoArmy.com or here. Two-Year Scholarship: A two-year scholarship includes full tuition, book allowance, and a monthly stipend for students with two years to complete their degree program. More information about the Army’s two-year scholarship program is at GoArmy.com. Four-Year Scholarship: The four-year scholarship option includes full tuition, partial fees, book stipend, a subsistence allowance, and uniforms for students enrolled at a four-year degree program at a NROTC approved college. The application requirements, deadline, and service commitment for both Navy and Marine Corps can be read here. Three and Two-Year Scholarships: Include full tuition, partial fees, book stipend, a subsistence allowance, and uniforms. Students must be enrolled at a participating NROTC college & application information and deadlines are also on the Naval Reserve Officer Training Program website. Would an ROTC or JROTC program be a good fit for me? Like most questions about personal choice and development, the answer will depend on you. The JROTC and ROTC programs can be an exceptional platform for a young adult to launch into a great career. Those that do choose to participate in an ROTC program will likely benefit greatly from the specialized training, leadership, physical development, enhanced team-based activities, and professional development in addition to the tuition assistance. The trade-off to the great training early in life is a long(er) term commitment to the military after you have successfully completed your college degree. While there is not one-size-fits-all program for education or learning, a future in the military has been a formidable choice for many students for over 100 years. For additional resources, make sure to visit MatchCollege and subscribe to our blog for the latest in college information. Find your perfect college match today with a single search with our proprietary degree finder platform and collect information from top colleges with a single search.